What comes to your mind when you think of 90s Bollywood movies? Chiffon sarees, beautiful heroines dancing at exquisite locales, the irresistible charm of Shah Rukh Khan and of course, a feeling of nostalgia. The 90s decade produced some of the most memorable Hindi movies. Some of the movies have managed to create such a spell that their magic still lives on. We present to you a list of 20 movies from the 1990s that are worth binge watching; so grab a tub of popcorn, sink in your quilt and go on a nostalgia trip with these movies! 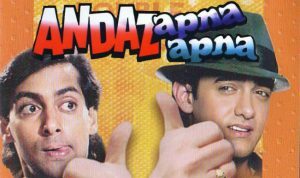 Directed by Rajkumar Santoshi, this comedy movie stars Aamir Khan, Salman Khan, Karishma Kapoor and Raveena Tandon. It’s been more than two decades since the movie released and it still hasn’t lost its charm. Now considereda cult movie, it’s one of the funniest films ever made in Bollywood. 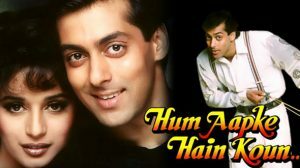 Starring Salman Khan and Madhuri Dixit, Hum Aapke Hain Kaun was the first Bollywood film to collect over 1 billion. 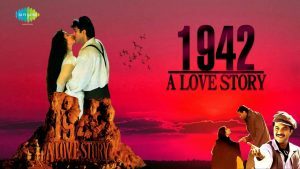 The film explores Indian values, traditions, romance and is still remembered as one of the purest and most innocent love stories. The movie’s music is timeless with ‘Didi tera devar deewana’ still being a wedding hit. One of my all time favourite movies, Kuchh Kuchh Hota Hai is a landmark film starring Shah Rukh Khan, Kajol and Rani Mukherjee. 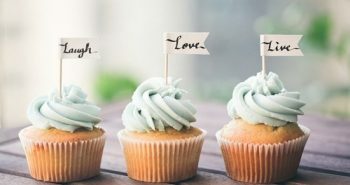 The plot of the movie revolves around two love triangles set years apart. The movie is entertaining and explores the themes of friendship and love. Border is a war film based upon real incidents that happened at the Battle of Longewala. The background of the movie is the Indo-Pakistan war of 1971. The music of the movie was an instant hit with ‘Sandese aate hain’ almost becoming a patriotic anthem. The movie is replete with powerful performances and mind blowing action. 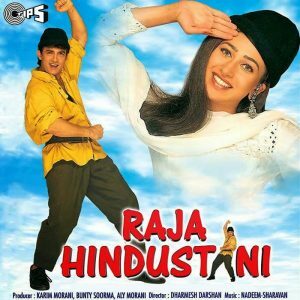 The third most commercially successful film of the 1990s, Raja Hindustani is a drama romance film. The film’s music became extremely popular. Karishma Kapoor was applauded for her role as Aarti. The movie tells the tale of a cab driver from a small town, who falls in love with a rich girl. 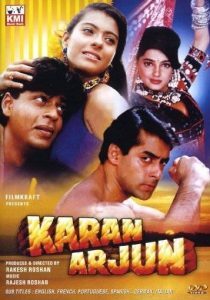 A memorable hit starring Shah Rukh Khan, Madhuri Dixit and Karishma Kapoor, this movie has won a number of awards. The movie depicts a love triangle where the third angle is portrayed by Karishma Kapoor. The movie took western choreography to a whole new level. 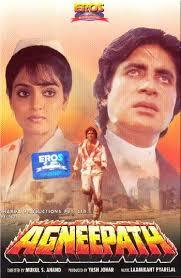 The film gave goose bumps to Indian cinema with its intense chemistry. 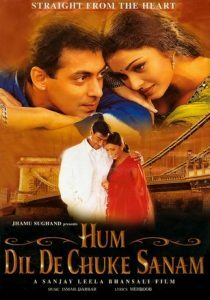 A 1999 romantic drama film, Hum Dil De Chuke Sanam was directed by Sanjay Leela Bhansali. The story is adopted from a Bengali Novel Na Hanyate written by Maitreyi Devi. The main characters are played by Salman Khan, Aishwarya Rai and Ajay Devgn. The performances are expressive and moving. This was the movie that catapulted Rahul Roy to fame, back in 1990. 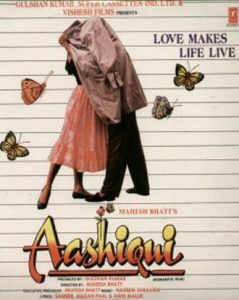 Aashiqui is a musical romance film directed by Mahesh Bhatt. Themovie emerged as an all time blockbuster and a sequel was released in 2013. The music of the film attracted a majority of the audience. 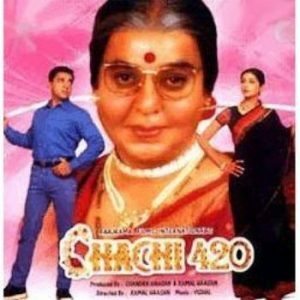 Chachi 420 was Kamala Hassan’s directorial debut. An exceptionally well written and enacted story, the movie is an Indian remake of Mrs. Doubtfire. The dialogues, penned by Gulzar, are witty and the movie is a charming comedy. The movie is also replete with sufficient drama to keep the audience engaged. Pardes is a musical drama film starring Shah Rukh Khan and Mahima Chaudhry in the lead roles. The film was a commercial and critical hit. The story of the movie propagates the idea of loving one’s motherland and taking pride in one’s culture. Mahima Chaudhry won the Best Newcomer Award for her performance in the movie. This comedy movie was directed by David Dhawan. The movie is a quest for a house wife to bring back her husband once she learns that he is cheating on her. The performances are remarkable, though some of them could be termed as overdramatic. All in all, the movie is an entertainer. The film that won 9 Filmfare awards and was highly acclaimed for its music, the movie captures the love story of two young people, portrayed by Anil Kapoor and Manisha Koirala. The movie is set in 1942 amongst social and political turmoil when India was about to get freesom from British Rule. 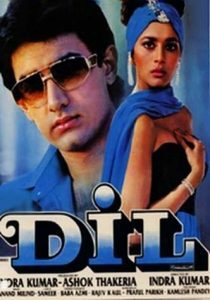 This romantic drama film starts Madhuri Dixit and Aamir Khan in the lead roles. The movie is the story of how a poor father wants his son to get married to a girl of a rich household, since that is the only way they can climb up the social ladder. Madhuri Dixit received the Filmfare Best Actress award for her role. 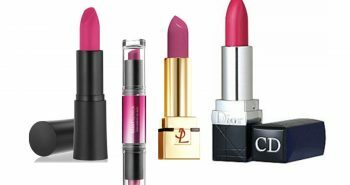 The movie is Sanjay Leela Bhansali’s directorial debut. The film grossed about 7 crores in India. 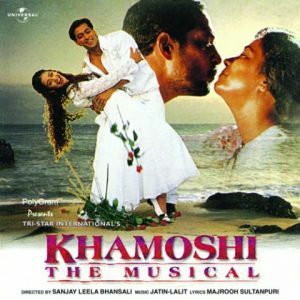 Khamoshi is a heart wrenching tale of love, relationships and sacrifice. The characters are realistic, and the film is engaging and refreshing, with the lead roles played by Manisha Koirala and Salman Khan. This movie needs no description. Starring the legend Amitabh Bachchan, the title of this movie is actually taken from a poem of the same name, penned by Harivansh Rai Bachchan. The film is the story of a man, who in his quest for revenge becomes just like his enemies- a gangster. Amitabh Bachchan received his first National Award for Best Actor for his performance. 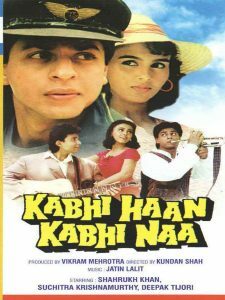 Kabhi Haan Kabhi Naa is a coming of age comedy film starring Shah Rukh Khan and Suchitra Krishnamurthy. A lot of people consider this movie as Shah Rukh Khan’s best performance. The movie is unusual because the hero plays the role of a loser. 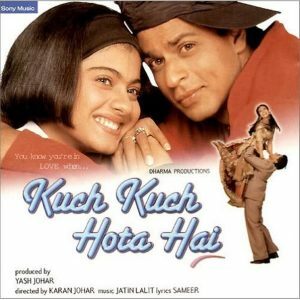 Shah Rukh’s performance escalates this simple and typical love triangle to another level. 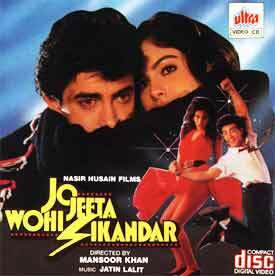 Jo Jeeta Wohi Sikandar is a sports drama film. The movie presents a perfect balance of family, friendship and romance. This Aamir Khan-starrer is a refreshing watch. The song ‘Pehla Nasha’ was an instant hit and is an all-time favorite of the audience till date. The movie that took Bollywood by storm and is still loved by the audience fondly; this movie tells the story of Raj and Simran, who fall in love and their struggle to be together. 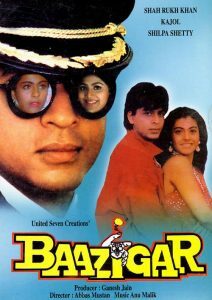 The lead roles are played by Shah Rukh Khan and Kajol. The film is a memorable one.